You’ve likely heard of Variety the children’s charity, and probably even seen pics from its annual Bash. It’s hard to miss with its convoy of decorated vehicles in all manner of colours and themes, some as outlandish as the Beverly Hillbillies or the Flying Nun. But do you know what Variety really does and the practical difference this organisation makes to the lives of sick, disadvantaged and disabled children? 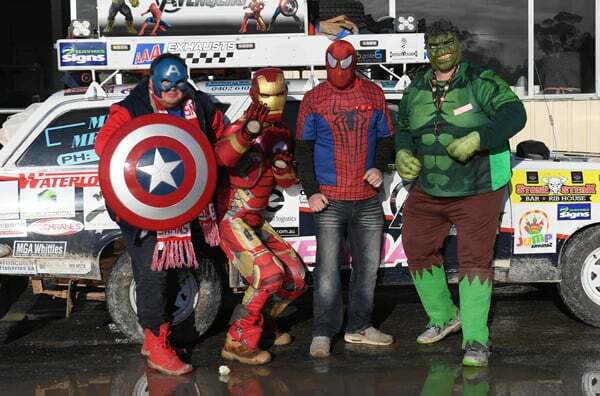 Ron Barton, the owner of Aussiefast, has been involved with Variety for fifteen years as a fundraiser, Board member and more recently in the support crew for the annual Bash and he can tell you what an amazing charity this is. Variety’s mission is for all children to be the best they can be and to follow their dreams, no matter their abilities. Ron has seen the fabulous work that Variety volunteers do and thinks everyone should know about them. Annually, the bash raises in excess of $2.0 million, which goes to help children in need. And to reward the hard work of volunteers, Variety holds an annual Bash which is loved by those taking part and those who get a visit. 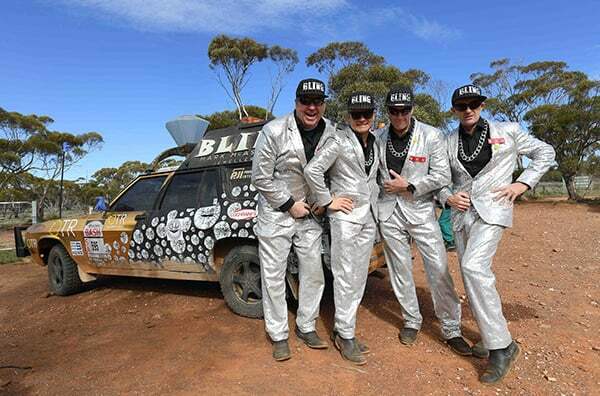 To compete in the Bash (a convoy of around 100 cars and 350 people who traverse rural roads to deliver life changing gifts), each team must raise a minimum of $10,000. In 2017, one team alone raised over $200, 000 just by rattling tins in pubs. How’s that for old-school Aussie spirit? As for the recipients, donations have gone to some extremely deserving children and families. Recent bequests have bought prosthetic limbs, wheelchair accessible vehicles, and laptops for enhanced communications. But perhaps Ron’s most memorable Variety gift was the delivery of a hydro bath to a rural family who had been travelling hundreds of kilometres per week to access the nearest facility to treat their child’s skin disease. The delivery of a personal hydro bath to this family was life-changing not only for them but also for those who had the joy of delivering it. The cost of this bath was made possible by the donations of thousands of ordinary people. The Bash itself, the reward for a year of hard fundraising work, is a sight to behold. 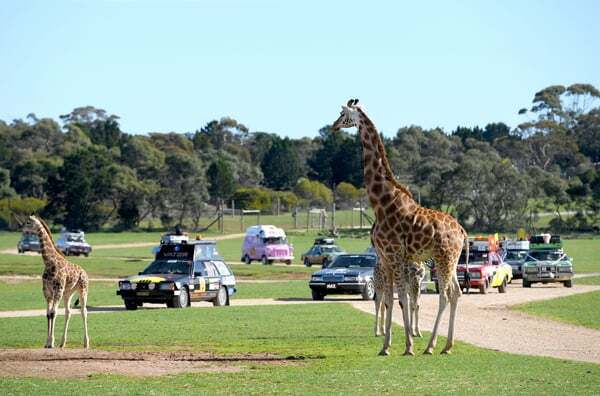 In August 2017, Variety travelled from Mt Barker to Mt Gambier with a convoy of funsters displaying their creative flair as Wiggles, Minions, Muppets and most importantly, big-hearted folk. The bashers paid their own expenses to make the trip, which visited families and schools along the way who had applied for support and they were there to present these much needed grants. The Bash was accompanied by three medical vehicles, ten official vehicles, nine mobile workshops, two trucks and three communications and media personnel, all volunteers keen to make a difference. The 2017 result brings the SA Variety Bash to nearly $35 million in donations raised since its inception. Next year, the Variety bash will celebrate its 30th anniversary in SA. That’s one heck of an achievement with countless children helped who otherwise might have missed out. Everyone has difficulties in their life, but some families experience such disempowerment that without organisations like Variety, there is no hope for them to lead the sort of ordinary lives that others take for granted. This organisation is essential to those whom it assists and Ron and his team at Aussiefast would love it if the next time you come across someone fundraising for Variety, you consider donating.